Okay, I have a job for you. I need a few people to dig a trench five feet wide and up to sixteen feet deep for 3/4 mile through rocky soil full of trees. Are you in? Oh and you can only use a pick and shovel. I don't care how many people you bring, but the whole job will pay $1,500. 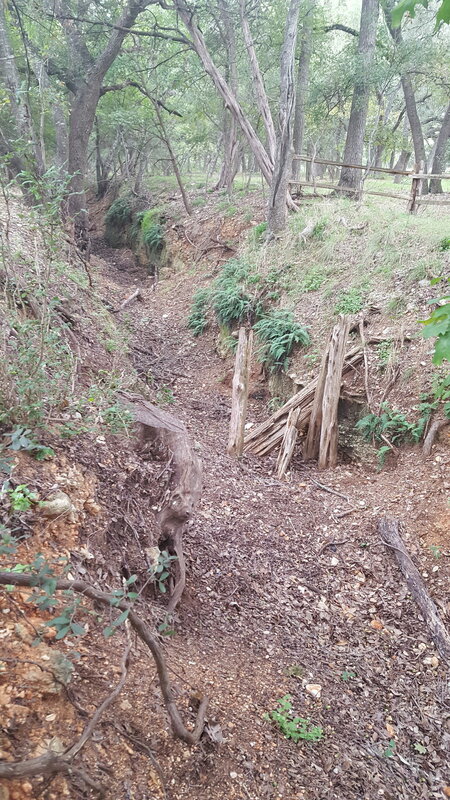 Those are the conditions under which the Mill Race in Wimberley, Texas was dug in 1870. 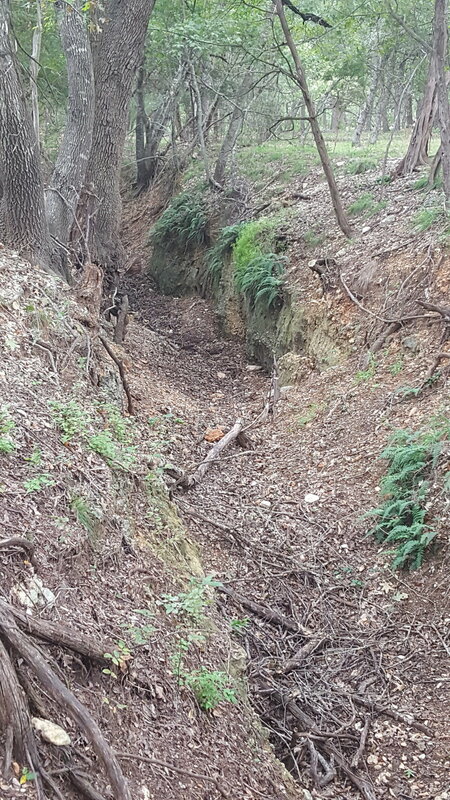 A race is a fast flowing, water-filled trough, this one to provide the necessary 21-foot drop in elevation required to power the Winters Mill. 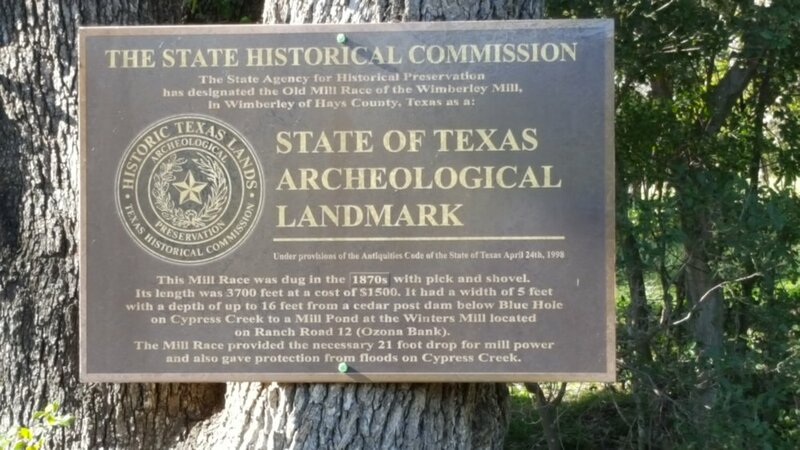 Mill Race ran from Blue Hole to the village of Wimberley near Cypress Creek. Mickey and I stayed at a creek-side cottage with an address on Mill Race, but I had no idea what the name meant. I saw the ruts and then found the sign to explain them. Almost as interesting was the fact that there was such a thing as an archaeological landmark designation for features like this. My thoughts shifted to such a designation for a certain old east Texas roadway. Not every rut is an old road, but man-made ruts like these whether dug or worn have many stories.